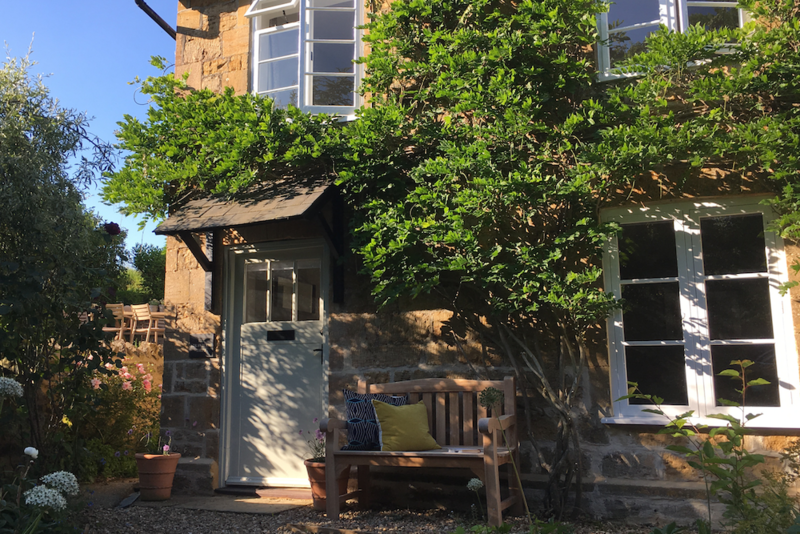 Muddy says: Wisteria-clad stone cottage outside; luxe mid-century modern inside with wood-burner, monsoon shower, vinyl collection… yes please! Picture-postcard, wisteria-clad old stone cottage in the idyllic village of Corton Denham on the undulating borders of Somerset and Dorset. Contemporary luxe furnishings, wood-burner, monsoon shower, vinyl collection and record player – and more. The perfect combo of old and and Elle Deco new. 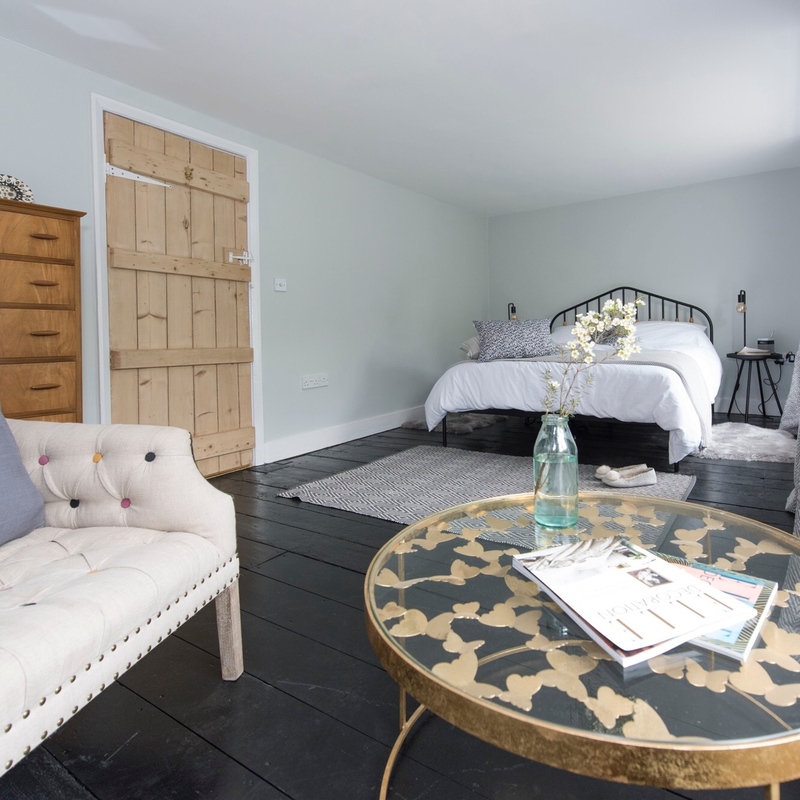 Sleeps five people (and a dog) in three bedrooms (the main with a king-sized bed and stylish seating – curl up with your novel here) and a super spacious bathroom with a freestanding bath and monsoon shower (swoon). 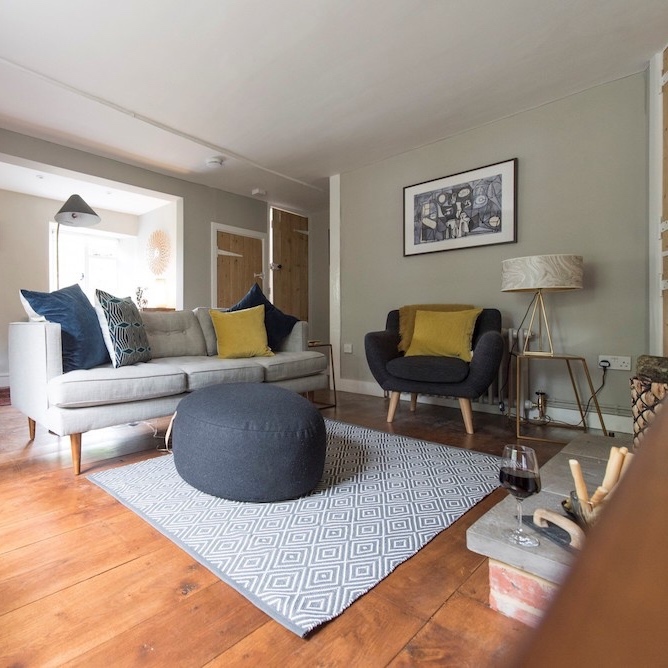 Kitchen has all mod cons including a SMEG oven, Nespresso machine, bluetooth speakers – and a hamper of Prosecco, chocolates, milk, bread, eggs awaiting your arrival. Eat brekkie here or in the little – duck egg blue – dining area. Living room is on-trend, mid-century modern, with that big wood-burning stove, vinyl collection and Crossley record player. 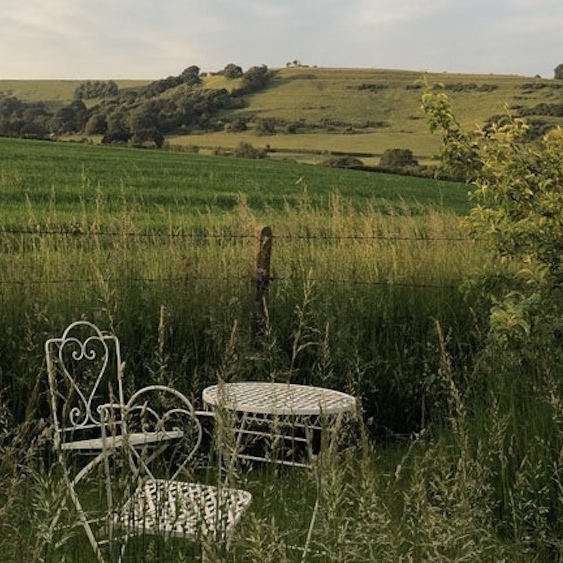 Location: just hop on a train from Waterloo (2hrs 11) to this village with award-winning Queens Arms pub; historic Sherborne (abbey, castle, indy shops) around the corner and arty Bruton, Frome and famous Jurassic coast nearby. As Pa Larkin would say: Perfick.